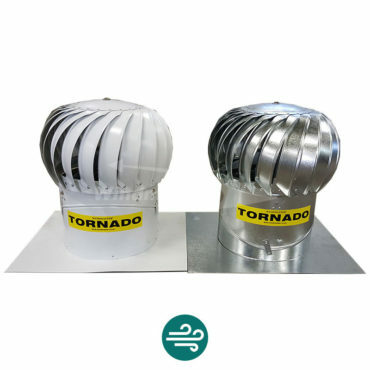 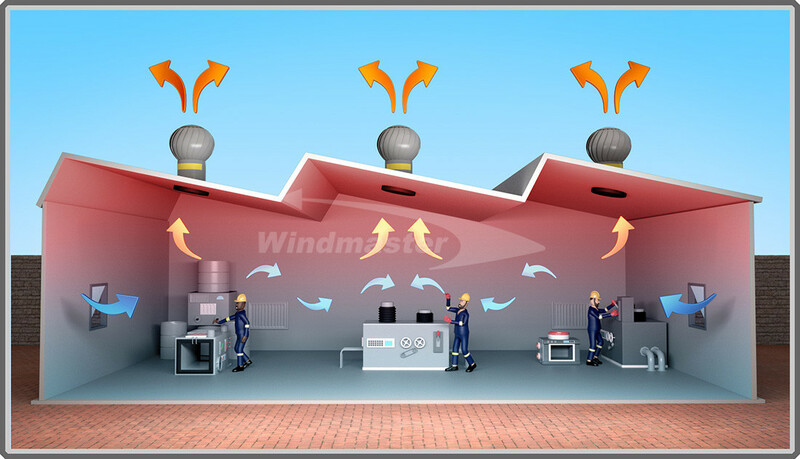 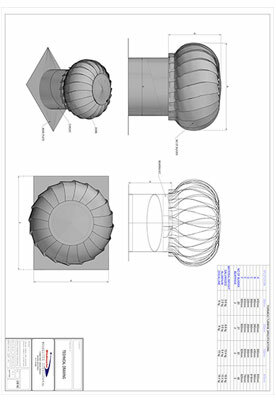 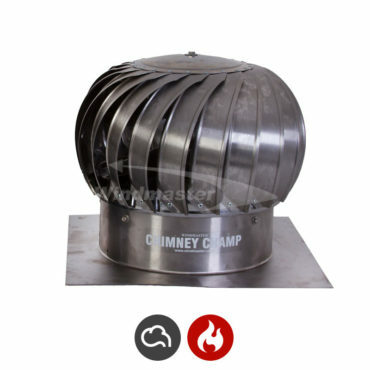 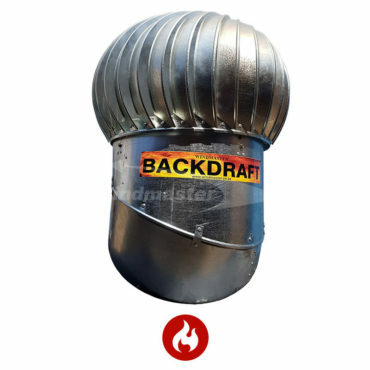 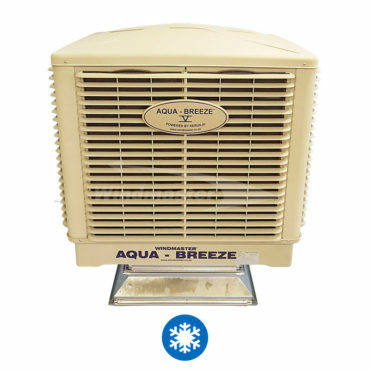 The design of the Tornado Ventilator enables the ventilator to be activated by natural convection from the inside of the building and also allows it to be assisted by the wind outside. 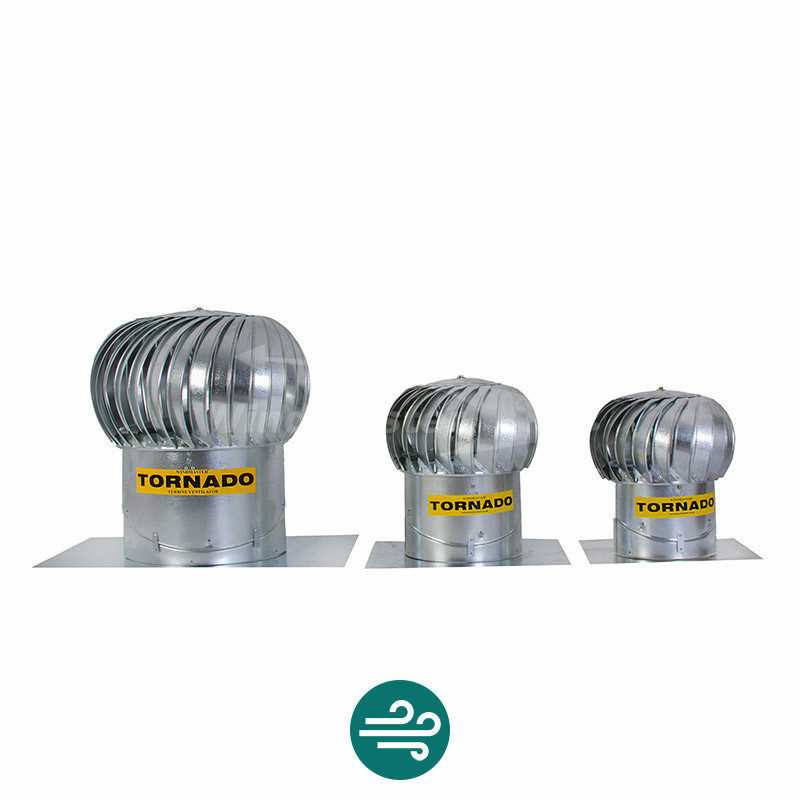 Wind creates a flow of air through the throat of the Tornado to enhance extraction. 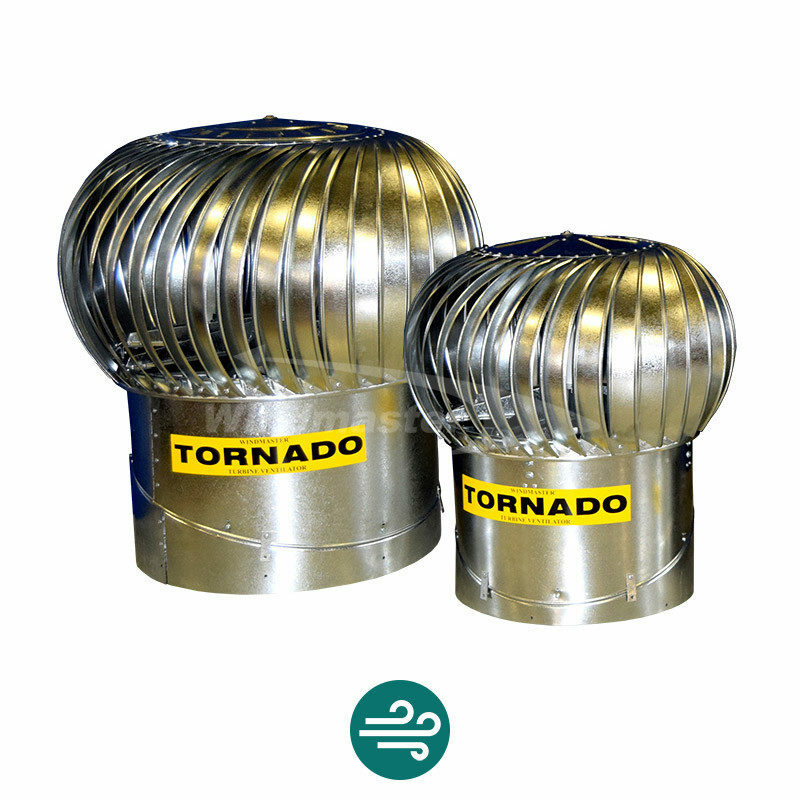 Users of Tornado Turbines Ventilators continually report reduced stress and increased productivity due to a healthier working environment. 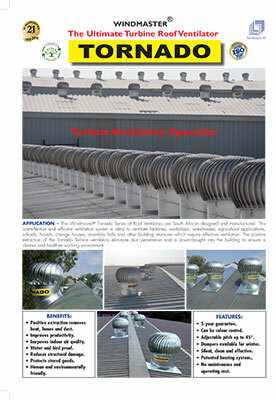 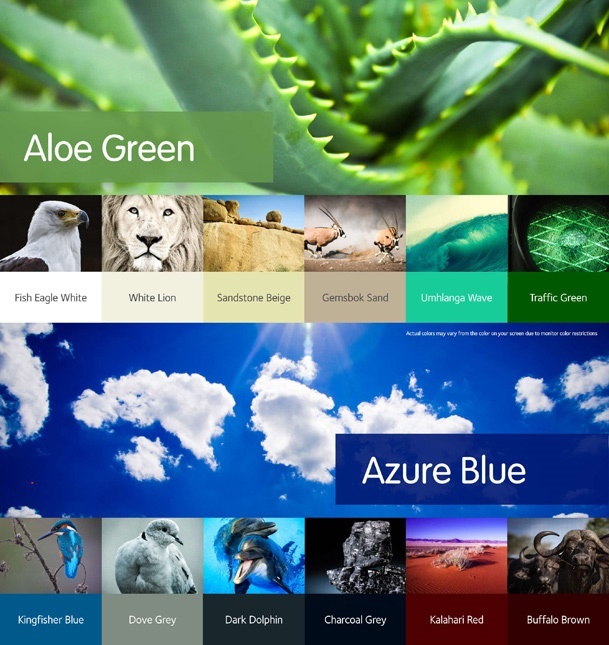 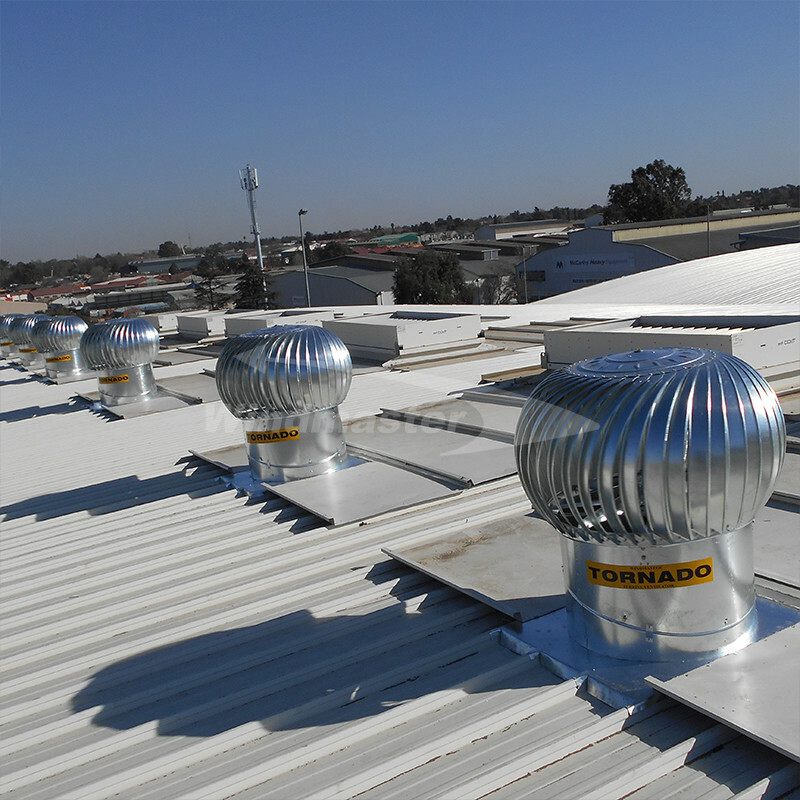 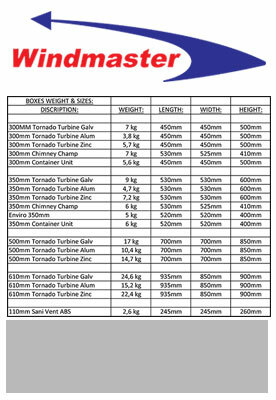 The Windmaster® Tornado Series of Roof Ventilation Systems are South African designed and manufactured. 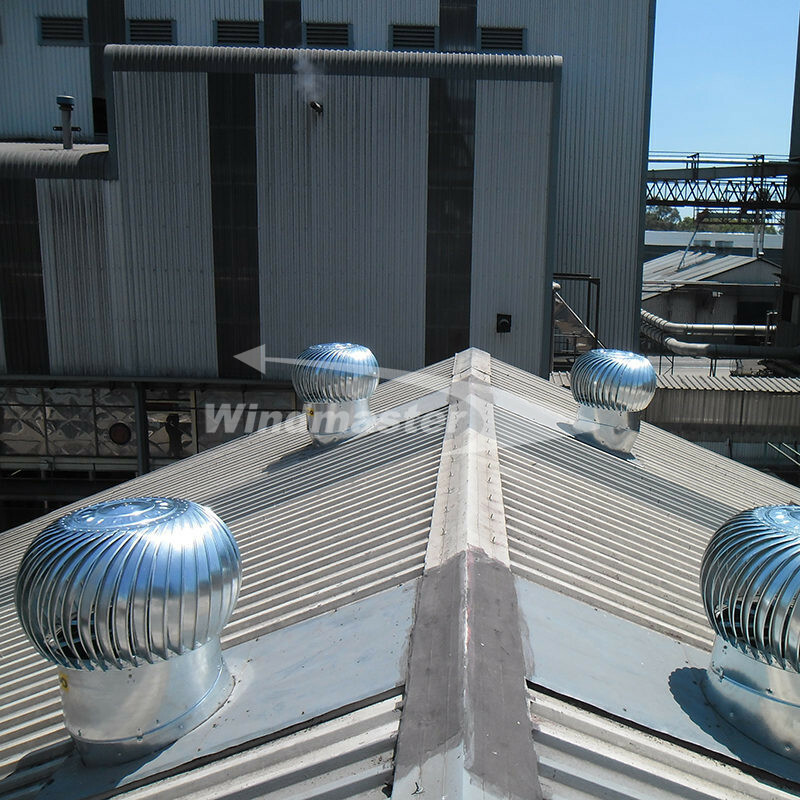 This cost-effective and efficient roof ventilation system is ideal to ventilate factories, workshops, warehouses, agricultural applications, schools, hostels, change houses, assembly halls and other building structures which require effective ventilation. 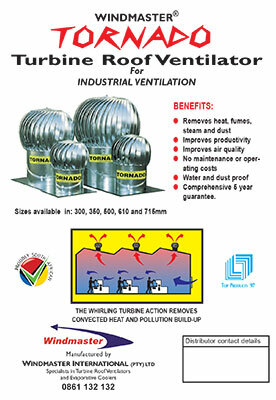 The positive extraction of the Tornado Turbine ventilation system eliminate dust penetration and a down-draught into the building to ensure a cleaner and healthier working environment.